I finally got around to doing a little fall decorating in the house. It was hard to find inspiration this year with all the HOT weather until just a week or so ago. But fall is finally here, so I pulled out the colorful leaves. 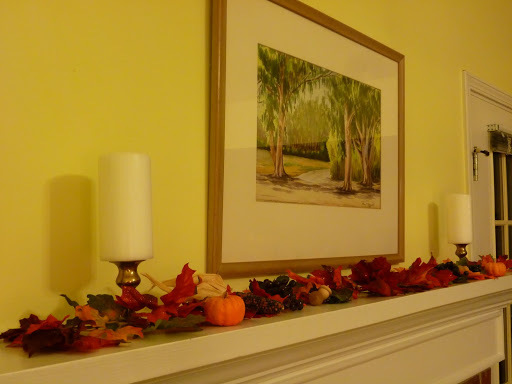 The fireplace now looks cheery dressed in the season’s colors. Last Garage Sale of the Year? 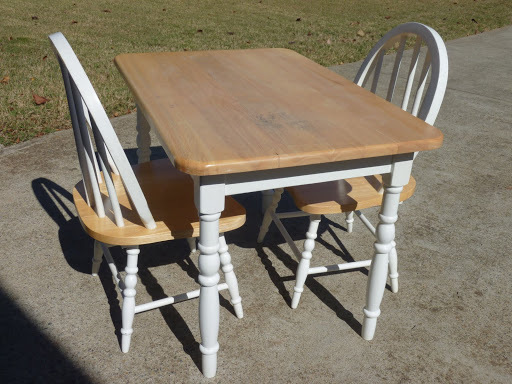 A couple of weeks ago Heather and I went out garage saling. It looks like this was the last day for sales this year; we found very few that day. 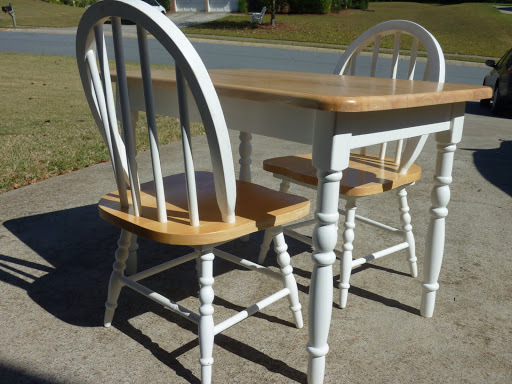 I found one thing only: This cute table and chairs set for the little boys. I plan to repaint it for Christmas. Other than graffiti on the tabletop, there is nothing wrong with it. Price? I got her down to $13. The Professor and I drove up to the mountains on Saturday to check out the “Apple Highway”, and perhaps buy a bag of apples. We hadn’t been up there for over 10 years, so we really didn’t know what to expect. It was a beautiful, warm and sunny fall day. 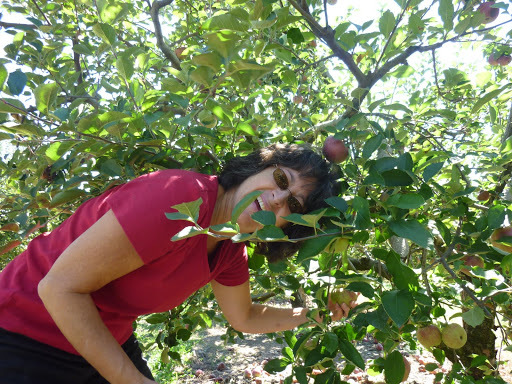 At the first orchard, we bought a half-bushel of Rome Beauty apples so I could make applesauce. 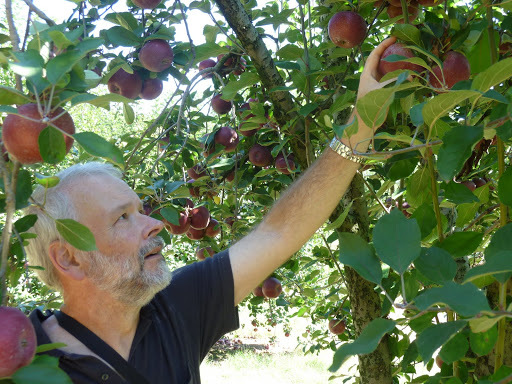 At the second orchard we bought a bag of Stayman Winesap apples, just for eating. After that, we decided to stop at every orchard along the highway, and buy something different at each one. Soon we had tried apple cider doughnuts, fried apple pies, dried cinnamon apples, and many varieties of fresh pressed cider. At BJ Reece Orchards we saw a sign for picking apples. How fun! Soon we were roaming the hillsides, picking a few of one variety here and a few of another variety there, until we had our full weight of 10 pounds. 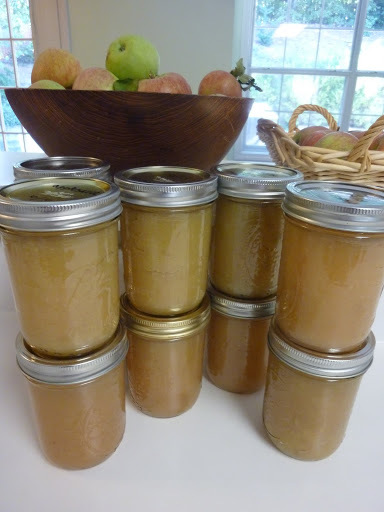 On Sunday I baked an apple pie, and on Monday I turned the Rome Beauty apples into 10 pints of unsweetened applesauce.